The Pacific Autism Family Centre is passionate about empowering individuals on the autism spectrum to meet their potential and participate in community in meaningful ways. If you have any questions or would like additional information, please contact us at info@pacificautismfamily.com. EmploymentWorks Canada is a 12 week pre-vocational program focused on skills based experiential learning. Mentors and co-workers to develop an understanding of the importance of mentorship and how they can support participant’s efforts to achieve employment skills and vocations goals. If you are an individual on the autism spectrum and interested in gaining pre-employment training, please contact Rebecca Farnell to discuss participation in the program. “On August 31, 2018, Ready, Willing and Able’s 3-year pilot term ended. Due to recent changes in project funding, beginning September 1, 2018, RWA will undergo some important operational changes across the country. Going forward, RWA is most pleased to remain active in British Columbia, dedicated to engaging businesses to hire individuals with an intellectual disability or Autism Spectrum Disorder and partnering with local community agencies to provide needed on the job supports to individuals who obtain employment through RWA. However, as of September 1, 2018, in British Columbia, RWA will be solely delivered by Inclusion BC. While no longer an active delivery partner Pacific Autism Family Network will continue to collaborate with Inclusion BC and ensure that job seekers with ASD have equitable access to RWA employment opportunities. PAFN wishes to thank all the excellent community partners who have worked with RWA over the last 3 years and wish them the very best in their continued partnership with Inclusion BC and RWA. Together with our 200+ national employment agency partners, we have helped realize over 2100 new employment opportunities since September 2014! PAFC’s social enterprise initiative, GO Group, provides paid, goal oriented employment opportunities. IMPROVING EMPLOYMENT EQUITY BY HIRING YOUTH AND YOUNG ADULTS AND TRAINING THEM FOR JOBS IN THE COMMUNITY. GO Group is a multi-venture social enterprise that offers temporary supportive employment opportunities within PAFN’s hub to youth and young adults who want to and are realistically able to work in the food, custodial, or landscaping industries. GO stands for goal oriented in that all GO Group employment is temporary and transitional (approximately 6 months); the focus is on acquiring relevant vocational skills and tangible work experience such that individuals are better qualified for community employment in the respective industry. Specific workplace readiness and vocational skills goals are defined at the onset of employment. The skill acquisition progress is regularly tracked to ensure individuals’ learning is well-supported. As individuals reach each skill goal, PAFN will validate and issue digital badges, a new way of showcasing skill competency. Individuals who are job ready can use digital badges to highlight their skill set. Additional transition supports to future employment are available through our Adult Programs Team. 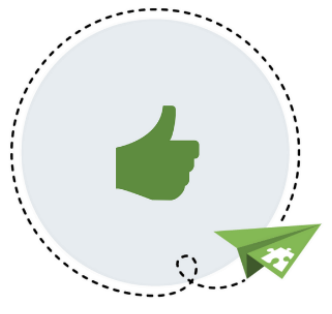 We work collaboratively with career practitioners and key contacts in individuals’ support networks towards the common goal of gaining employment after GO Group. Currently, the GO Group hires through the following ventures that meet the sustainable business functions within the Hub: GO Café, GO Custodial, and GO Landscaping. GO Group is being piloted at the Hub with an aim to expand to satellite sites. During the development phase, PAFN learned that BC communities need more services for young adults with ASD who are transitioning into the workforce or trying to make a leap from day programs to community employment. 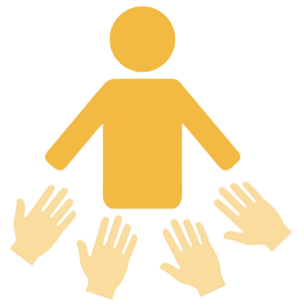 Only 1 in 4 persons with ASD or intellectual disabilities are gainfully employed, and yet there are few solutions addressing the disconnect in current pre-employment and placement services that often leave individuals with unmarketable training and experiences. GO Group seeks to address this gap by focusing on developing real, paid, supported employment opportunities in a sustainable enterprise model. GO Group offers 1) real experience, 2) relevant skills, and 3) mentorship to youth and young adults with ASD or related disabilities so that they are qualified for inclusive employment opportunities. 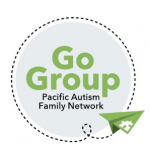 To apply or discuss further about GO Group, connect with Joyce Lin at joyce@pacificautismfamily.com or 604-207-1980 ext 2024. Interested applicants will be asked to submit a resume/profile and cover letter. Interviews are scheduled to further discuss the GO Group model and to assess how each applicant may be suitable for the opportunity. GO Group is increasing formal supported employment opportunities through the generous support of these funders who are improving the wellbeing of our youth and young adults with diverse abilities. Thank you!